So cold - but flying anyway! 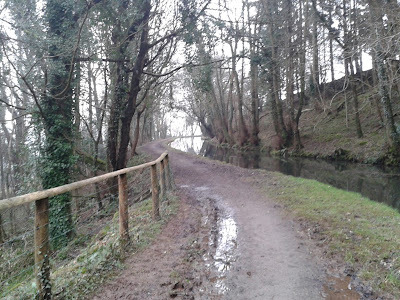 It seems I was a little premature to title a Blog entry "Spring at last" as all we seem to have had weather wise ever since is some of the coldest and wettest conditions for a March for many years. The good news however is that a little rain or the cold doesn't dampen your enthusiasm and desire to fly and as long as the conditions allow you will get a launch and the chance to fly whatever your level or aspirations. 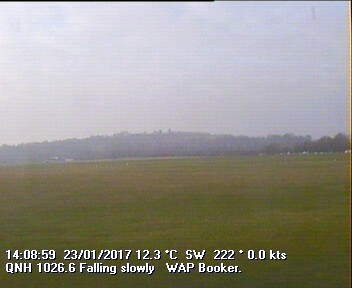 It was probably about -5 degrees C allowing for the wind chill factor and snow on the ground but several flights were made by the Falke and CFA under the overcast sky before retiring back to the club house to warm up. 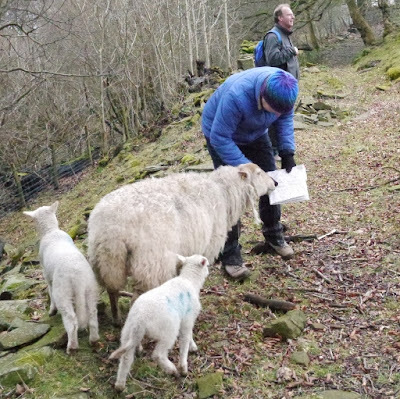 The weather gods are not on our side this week, today the icy wind and promise of rain and snow is encouraging various people to hitch up and head east. Yesterday after a night of rain the field had returned to its previous Somme-like state so we sought alternative amusement. One party headed for Hereford, another for Abergavenny where we went for a short stroll up the hill. ﻿﻿ We came back via the Brecon canal, which unaccountably goes uphill. 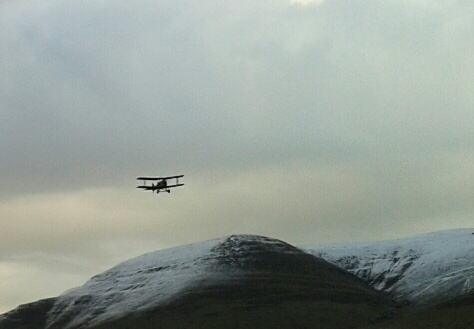 A couple of days ago we had a visitation from an SE5A, just to make the WW1 atmosphere complete. The observant amongst you will notice the absence of Day 2. That's because yesterday the airfield and quite a lot of the countryside was covered in snow, so there was no flying. Alternative activities included walking over the hills in 18 inches of snow, walking along the valleys in about the same depth of mud, and flying models. ﻿﻿Today started with fog in the valley which was scenic, but not much use in the event of a cable break, so we had a delayed start. 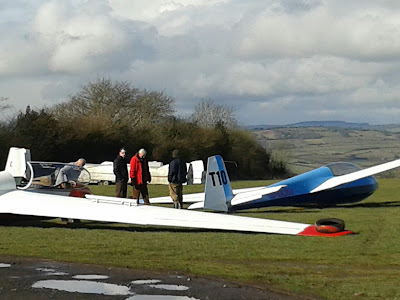 There was no wind to speak of, but a bit of thermal, and we all had check flights, which kept Richard and Tony (ex Booker, now at Talgarth) working hard with a variety of members and their peculiarlities. Having washed all the mud off the toys and put them away, the day ended with some more model flying. Most of the team has arrived, and taken over their various accommodations. Richard took one look at his room and went on an urgent search for somewhere nicer, he's now more comfortably settled. Today the BBC forecast was for 'lively showers with thunder mixed in, wintry on the hills'. 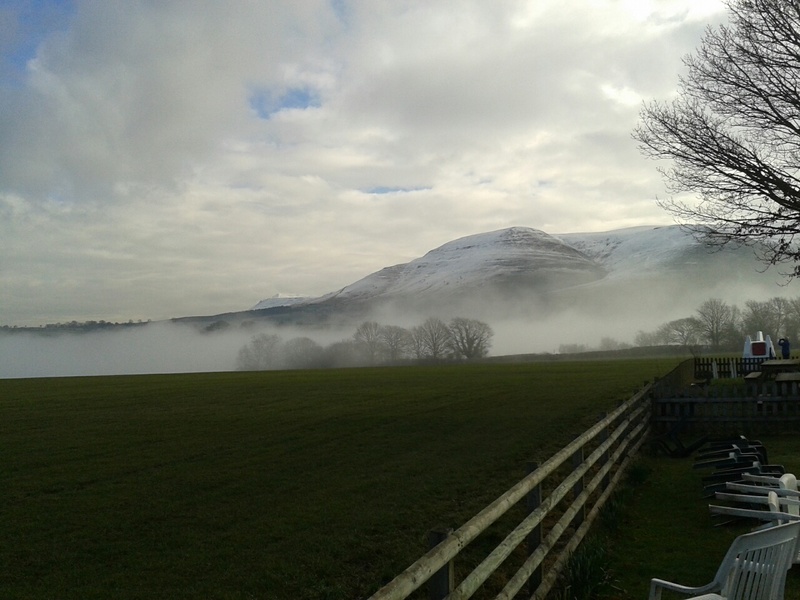 When we looked out of the window the hills were already snow-covered, and the air looked nicely unstable. We started with a briefing and a stroll round the airfield (which was wet but draining fast) to look at the interesting approaches, and then began check flights. Not much by way of ridge lift as the wind was from the south, but the views of the snowy hills were spectacular in the crystal clear air. The showers and rainbows got closer until by about 1300 we were putting the toys away in the rain/snow. 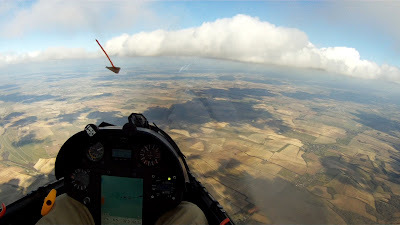 And here's a pic from Will, at 6300' after a 6 knot climb, and on an easy final glide (58km out) near Membury. More of the same, please! Some of us are off to Talgarth tomorrow, so we hope to have interesting photos and tales of epic flights to share. Watch this space. 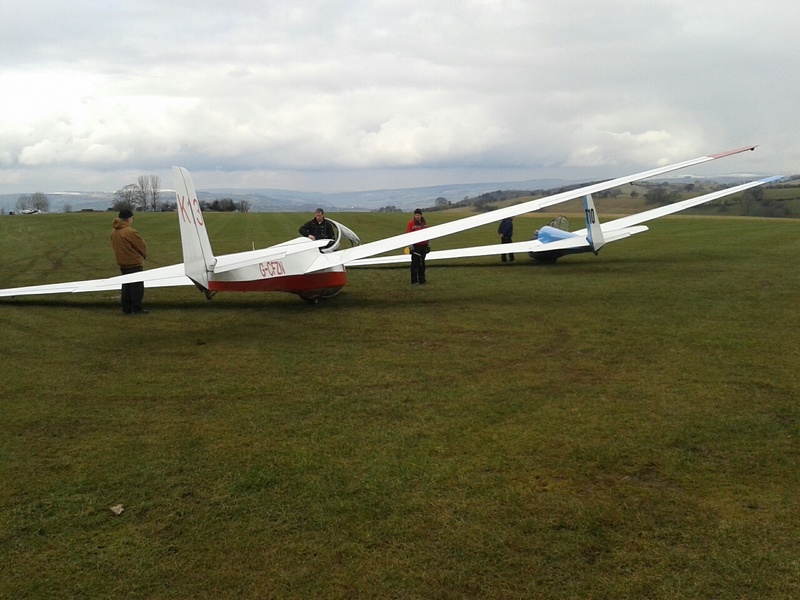 With clear skies and temperatures soaring (in relative terms) the launch point became very busy with both club training and many private owners getting their gliders out for the first foray of 2013. Flying consisted of several long soaring flights under the mainly blue sky, general training and Bronze C test preparation. Flying continued well into the late afternoon and a good time was had by all. The highlight of another busy day at the launch point was a flight by "Grandmother" Bobbie Anderson who was up to celebrate her 90th birthday, she was ably supported by many of her relatives. Bobbie has long held a wish to fly a glider ever since she served as a WAAF at Anglesey during WWII. After her flight she commented on "what a wonderful experience she had just had" and she could be seen re-enacting the flight for all to see. Its great to see people enjoying themselves so much and that age is no barrier - we wish her a happy birthday and enjoy being 90 years young. "And then I rolled to the left......."
Some of the more observant amongst you will also notice the new signs that have been erected at the airfield entrance - another example of the great work by the Sales & Marketing team promoting Booker Gliding Club. After a bit of a dull and cold start, the day kept on improving and flying continued until sunset. For some it was a chance to get airborne after a bit of a winter layoff, for others a chance to continue their training. The day culminated with Booker Cadet Michael Otty going solo for the first time. As he is only 15, he is one of the few people to appreciate the changes that EASA is making. Congratulations to him on his achievement. 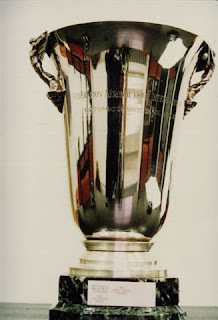 George Lee MBE, who was the first person to win 3 successive World Championship titles, will be visiting Booker on Saturday 9 March to sign copies of his newly published autobiography 'Hold Fast to your Dreams'. George will be available from mid-morning until mid afternoon. As well as gliding, George flew Phantoms in the RAF before joining Cathay Pacific to fly 747s. 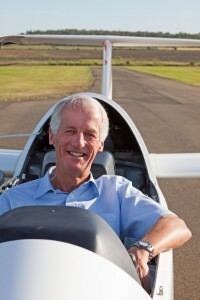 He also took Prince Charles for a glider flight in 1978. He now lives in Queensland, Australia where, of course, he has an airfield.